Should You Share a Cup of Coffee with Your Plants? Many of us have heard that coffee grounds are good for plants. People recommend adding used coffee grounds to the garden, either directly or mixed with compost or other organic materials, as a means of adding nitrogen-rich organic matter. Some coffee shops even offer their used coffee grounds free to interested gardeners. I started to research which plants might benefit from used coffee grounds and was surprised to learn that coffee grounds can be harmful if not carefully applied in the garden because they can dangerously increase the pH of the soil as well as suppress plant growth. The study concluded that all of the plants grew poorly in response to the spent coffee grounds, regardless of soil type and fertilizer addition. Increasing the amendment rate significantly increased the soil water holding capacity, but also decreased plant and weed growth and subsequent weed growth. The study stated that the growth suppression was not explained by soil pH change, or nitrogen availability, and was more likely due to phytotoxic (toxic to plants) effects. A consistent theme among various articles is that the coffee grounds directly applied to plants suppress plant growth. Coffee is rich in caffeine. Caffeine reduces competition from other plants by suppressing their growth. 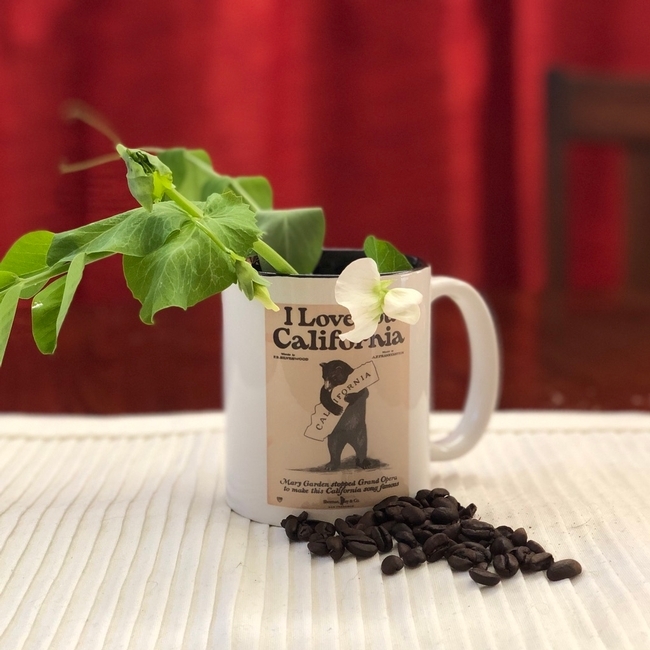 Thus, there is a possibility that coffee grounds can suppress the growth of plants we want to grow and not just weeds that we don't want to grow. In addition, some articles described the acidity of coffee grounds as being neutral in pH and other articles described the coffee grounds as highly acidic and best used on acid-loving plants like blueberries and azaleas. It is unclear why there is a difference among the articles, but some articles may have been discussing the pH of coffee grounds mixed with other compost while others were discussing the pH of grounds applied directly to plants. Still, others may have to refer to the use of fresh coffee grounds versus used coffee grounds. It wasn't always clear from the article. Regardless, too much acidity can harm some plants, even acid-loving plants. There are some potential benefits to adding used coffee grounds besides (hopefully, safely) increasing the soil pH. Coffee grounds can increase the water holding capacity of the soil, which could be a good thing or a bad thing depending on the soil type. Coffee grounds are about 2 percent nitrogen by volume and composted coffee grounds can be a substitute for nitrogen-rich manure. (Uncomposted coffee grounds, however, are not a nitrogen fertilizer.) Due to their nitrogen content, coffee grounds are considered green compost material and should be balanced with the addition of brown, carbon-rich compost material. Be aware, however, that if your soil is already high in nitrogen then excess nitrogen can result in rapid foliage growth at the cost of flower and fruit production. In sum, if you would like to use used coffee grounds in your garden, it is highly recommended to combine the grounds with compost rather than applying the grounds directly. You could even conduct an experiment to see how your plants grow with and without composted coffee grounds. Great article! Have always used coffee grounds directly but mainly in the acid loving plants. Did mix them directly into my raised garden this past year, so maybe that's why my peppers didn't do anything about producing for me. I get lots of coffee grounds from Starbucks, and most of it goes into my compost bins. The worms love it and by the time they're done, PH is not an issue. Regarding uncomposted grounds, much of the soil in our region is alkaline, and adding coffee grounds can mitigate that. It's best to learn which plants like alkaline, neutral or acid soil and adjust the application of grounds accordingly.